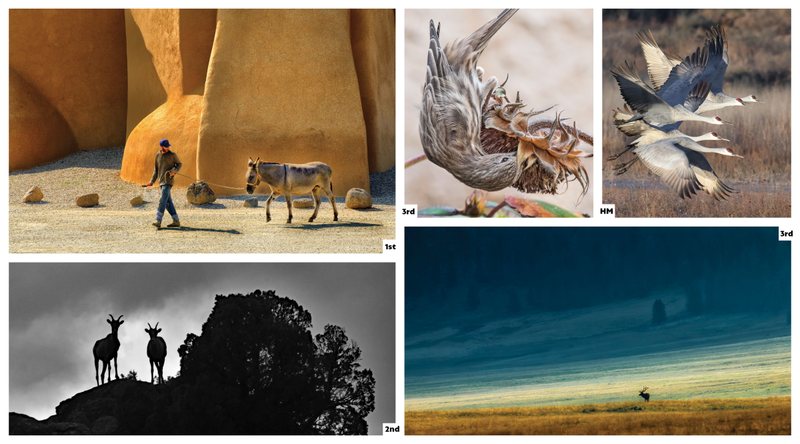 The 2019 New Mexico Magazine Photos of the Year. Above: "Liz Dancing" by Catherine Lucas, this year&apos;s Grand Prize Winner. HOW DO YOU TELL THE STORY OF NEW MEXICO IN A PHOTO? 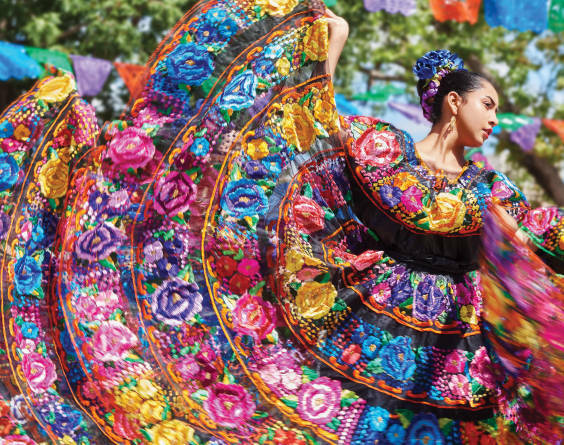 Is it in a flurry of fabric whipped up in a folklórico dancer’s skirt? Or in the thick adobe buttresses of an iconic church? How about in the shadows and contours of the white dunes of a desert landmark? Maybe it’s all of those things. And more. 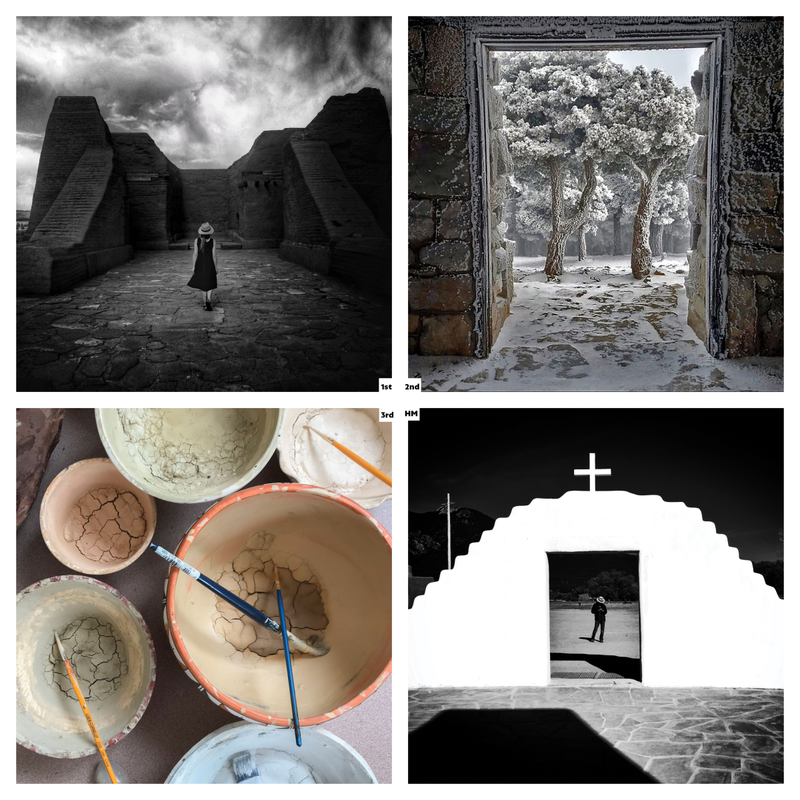 This year, the esteemed judges of the 18th annual New Mexico Magazine Photography Contest had the arduous task of scouring through more than 2,200 images submitted by more than 370 photographers. 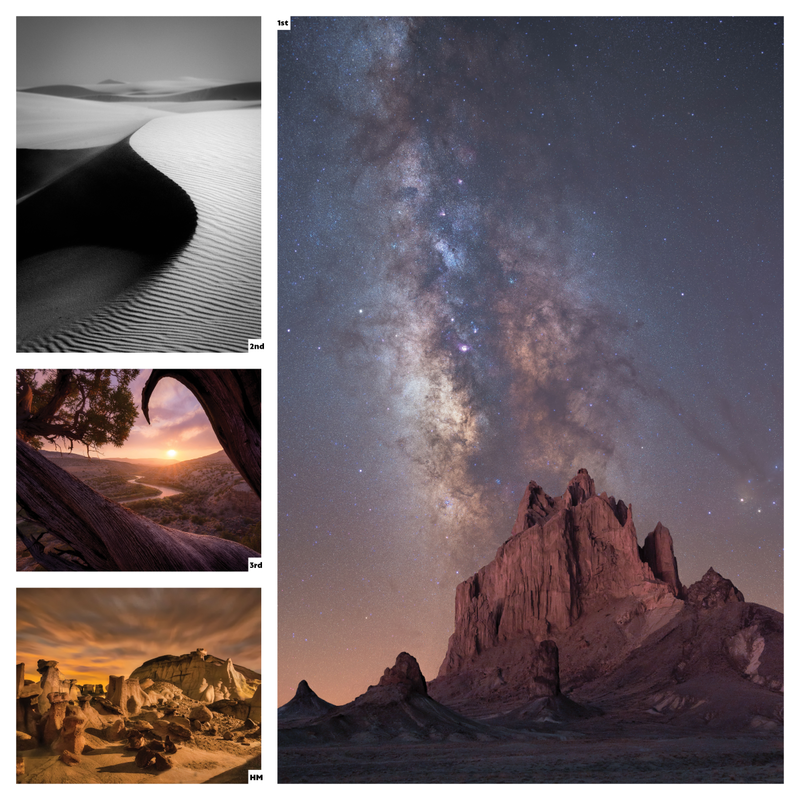 Sunsets and stormy and starry skies were popular submissions, as were dramatic desert landscapes where Ship Rock, the Organ Mountains, and the Bisti/De-Na-Zin Wilderness filled the frame. Lonely highway signs and hot-air balloons and horses—the contest creates a collection of images that tell individual versions of life in New Mexico. “This image says something about art in New Mexico,” Santa Fe photographer and judge Gabriella Marks said of the image Paint Pigments, which won third place in the competition’s new Mobile category. “I love how those cranes look like piano keys in this one,” Warren Malkerson, co-owner of the Tularosa Basin Gallery of Photography, in Carrizozo, said as the judges narrowed down a variety of Bosque del Apache images to just one. The winning photos will again be exhibited at Malkerson’s gallery starting January 26. The top vote getters will also be considered for inclusion in the 2020 New Mexico Magazine Enchanting New Mexico wall calendar (available this summer). Ultimately, the goal is to showcase the state through as many lenses as possible, a task that the contest’s judges took seriously. 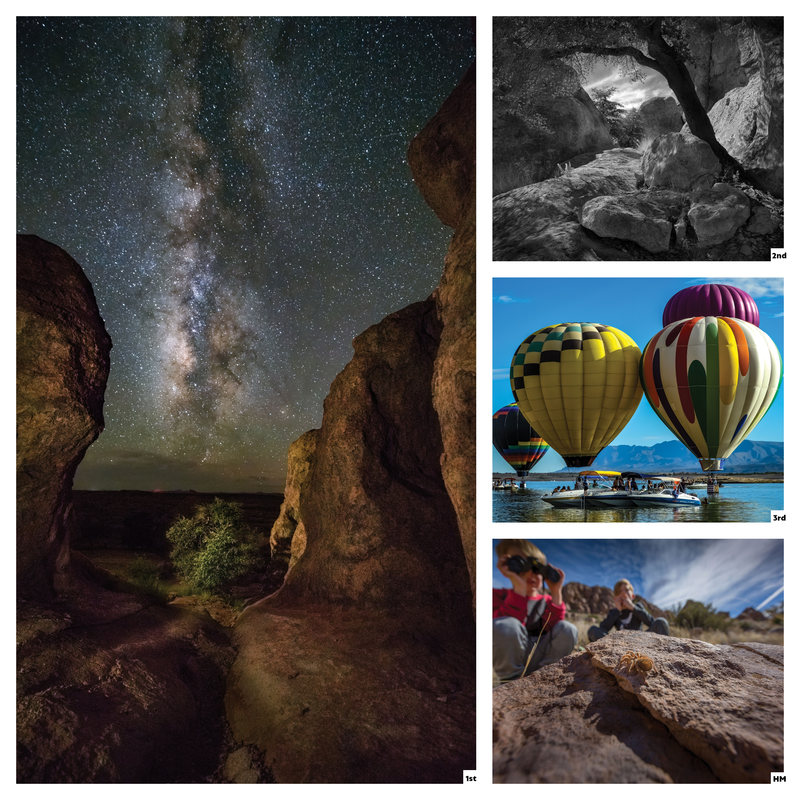 Photographers don’t always need a good excuse to explore our state’s natural beauty, but they got one when New Mexico Magazine introduced the Enchanted Adventures category, sponsored by New Mexico State Parks. Now in its second year, the category spotlights photogenic lakes, hiking trails, rock formations, vistas, and other attractions in New Mexico’s 34 state parks. The parks sprawl across varied terrain, and their blooming cacti, critters, and night skies became strong contenders in this year’s competition. In the end, the judges ultimately focused on those images that captured both the dramatic and playful sides of our state parks. First Place: Ozark Trail Instant Cabin Tent with Integrated LED Light, an annual camping permit from New Mexico State Parks, and a one-year subscription to New Mexico Magazine. Second Place: An annual camping permit from New Mexico State Parks and a one-year subscription to New Mexico Magazine. Third Place: An annual day-use pass from New Mexico State Parks and a one-year subscription to New Mexico Magazine. Grand Prize: A $1,000 gift certificate to the Santa Fe Photographic Workshops and a one-year subscription to New Mexico Magazine. 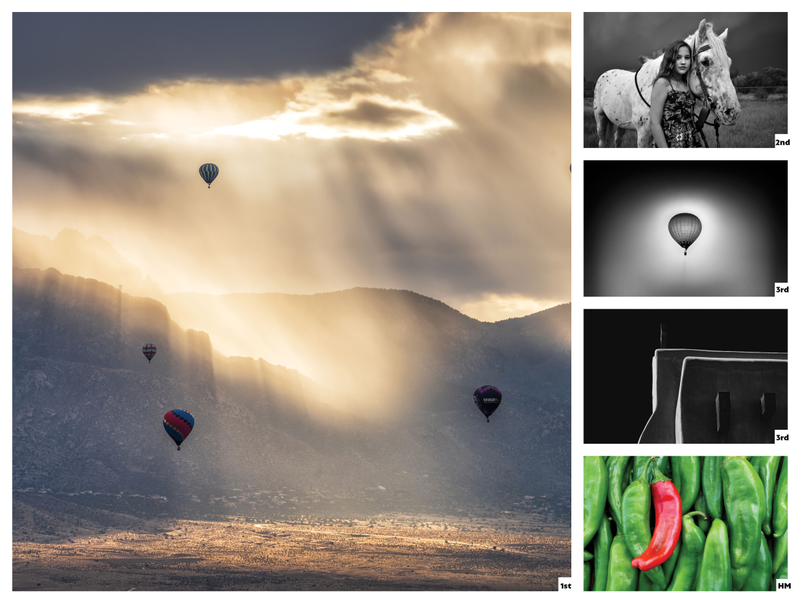 First, Second, and Third Place Winners: A one-year subscription to New Mexico Magazine and a 2019 New Mexico Magazine calendar (each category). The grand opening of the New Mexico Magazine Photo Contest Winners Show at the Tularosa Basin Gallery of Photography, in Carrizozo, will be the weekend of January 26–27 (401 12th St., 575-937-1489, photozozo.org). You can purchase the photos or request special sizes. The magazine does not participate in the sales or proceeds. The show will continue through the year.